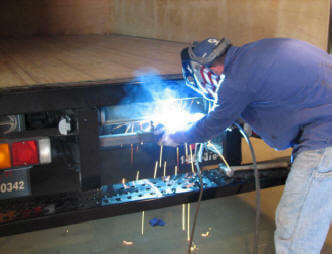 Our fabrication shop will work with you to design and build your truck or equipment to your specifications. From landscape bodies with detachable beaver tails, flatbeds with drop down sides, to dump bodies are just some of the things we have provided to our customers. Boss plows, Fisher plows, and Western plows are available for your winter needs. We are also dedicated to making your body repair work as painless as possible. Our company understands that your truck is an important investment and must be repaired professionally. Our trained technicians will make sure your truck returns to normal as soon as possible. We will return your truck to looking like new not only in a timely manner but also for reasonable rates. 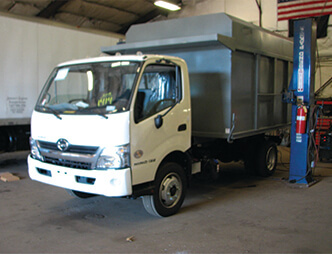 We provide our clients with the confidence that is required while their truck is repaired. Our company's goal is to exceed the customers' expectations.